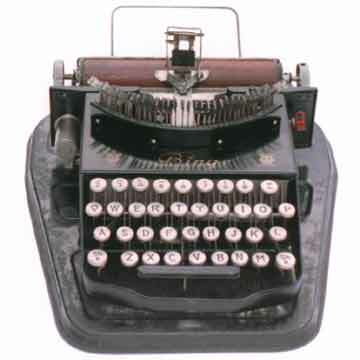 The Bing 1, shown here, had an ink pad system for inking the type. The second model (see Bing 2) held a narrow ribbon. Both the Bing 1 and 2 appeared with a metal base and cover and aluminum keytops.